Truth be told, I'm not a huge fan of ramen, but I really enjoyed my dining experience there. 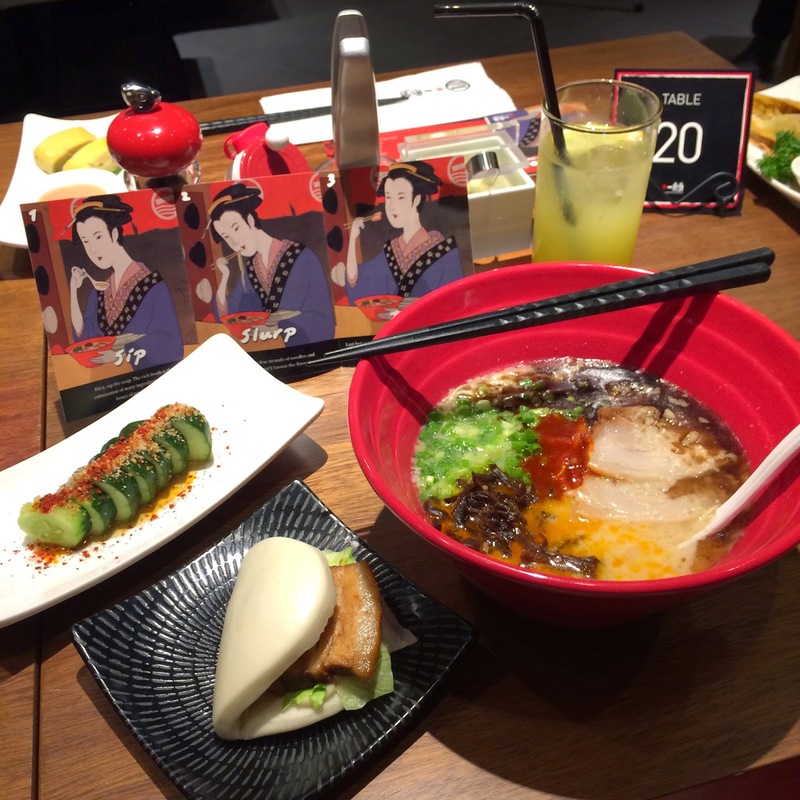 The restaurant serves Ippudo's famous signature ramen dishes- Shiromaru Classic, Akamaru Modern and Karaka-men. Aside from the delicious bowl of ramen, guests can cozy up to their stylish and relaxing ambiance over lunch or dinner. 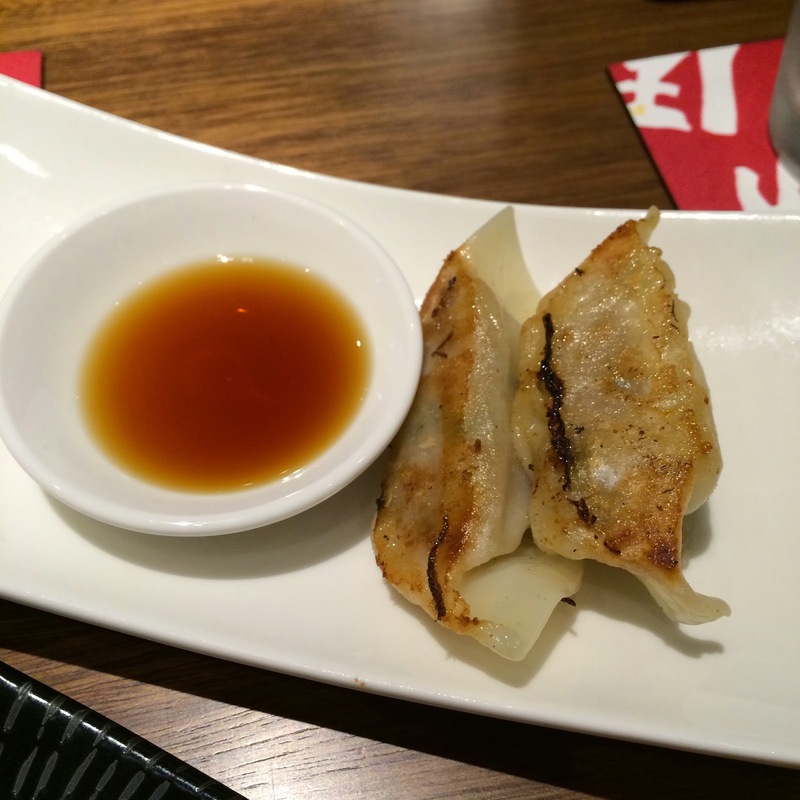 Ippudo is originally from Japan and its founder Shigemi Kawahara a.k.a. the Ramen King opened the first Ippudo in his hometown in October 1985. Ippudo is known for serving unique signature ramen dish and all of the locations offer seasonal dishes. Ippudo was also the first to refer to broth by colour Aka (red) and Shiro (white), which soon became a standard industry practice. Akamaru Shinaji (red bowl)- Ippudo's original tonkotsu broth enhanced with special blended miso paste and fragrant oil. 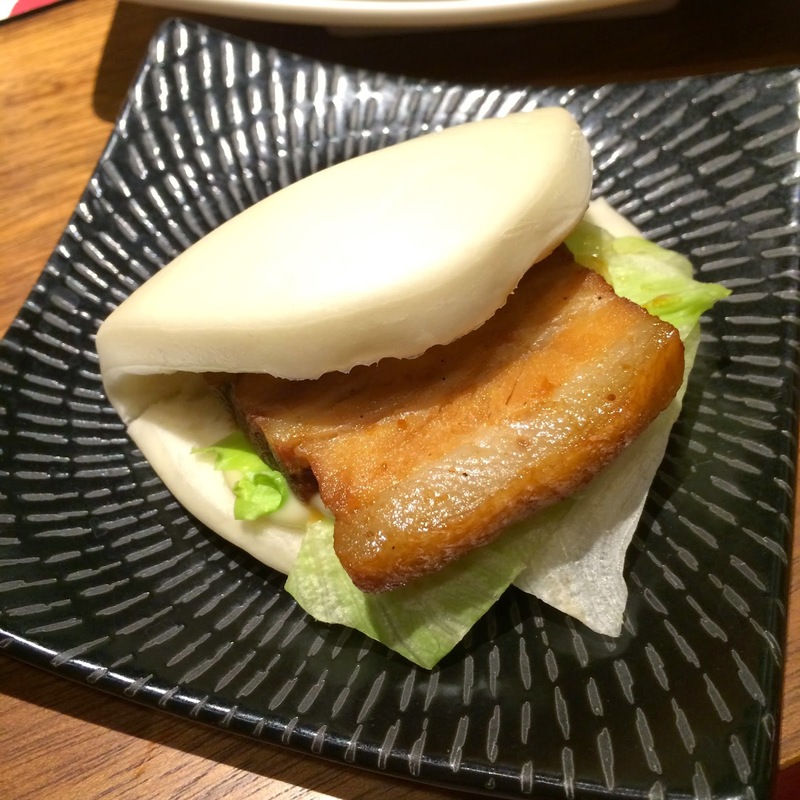 Served with thin noodles, pork belly, kikurage and spring onions. A refined, modern-style ramen. Shiromaru Motoaji (white bowl)- Ippudo's original tonkotsu broth served with ultra-thin noodles, pork loin, bean sprouts, kikurage and spring onions. 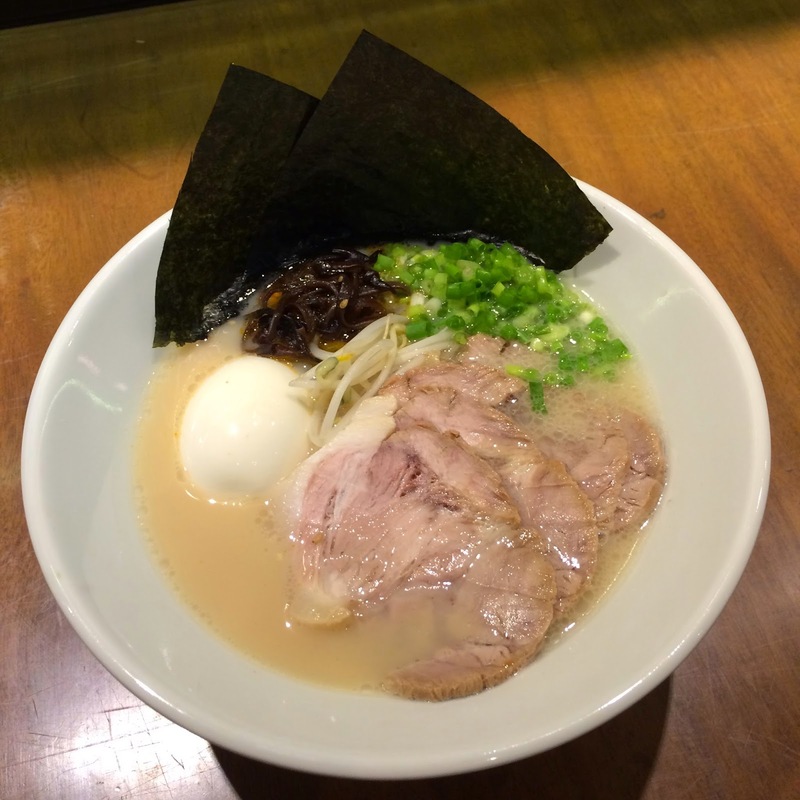 Classic Hakata-style ramen. Karaka-men (black bowl)- Ippudo's original tonkotsu broth served with wavy thin noodles, pork belly, kikurage and spring onions. Special spicy miso with ground pork and fragrant garlic oil add kick to the senses. Aside from having a warm bowl of awesome ramen, you can also choose to have them with these delicious Ippudo Salad and Classics. 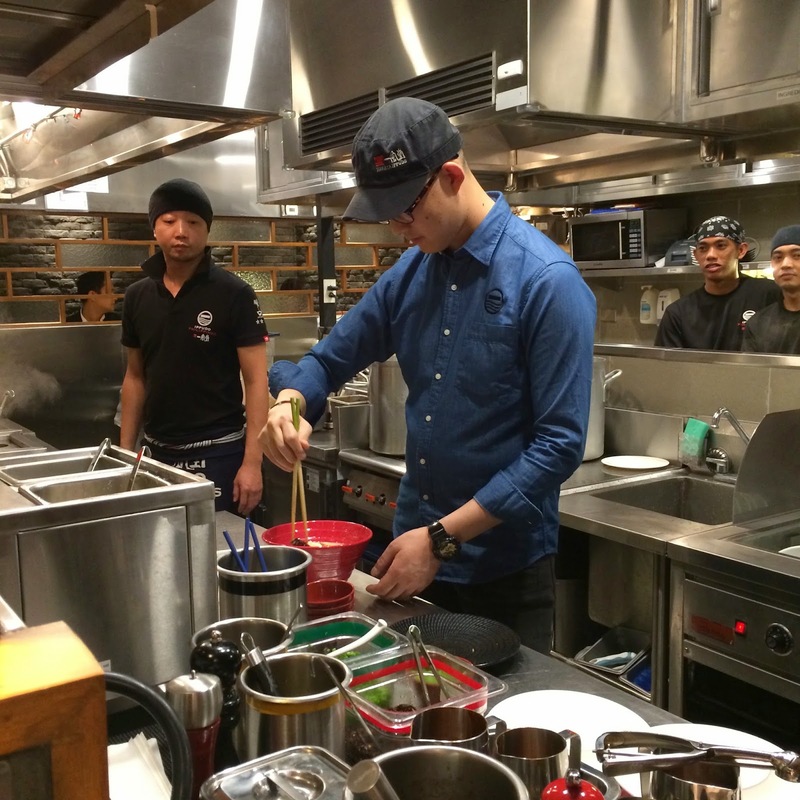 We also got the pleasure of meeting the Operations manager Yota Shiiba and seeing Chef Doi do his thing in the kitchen. 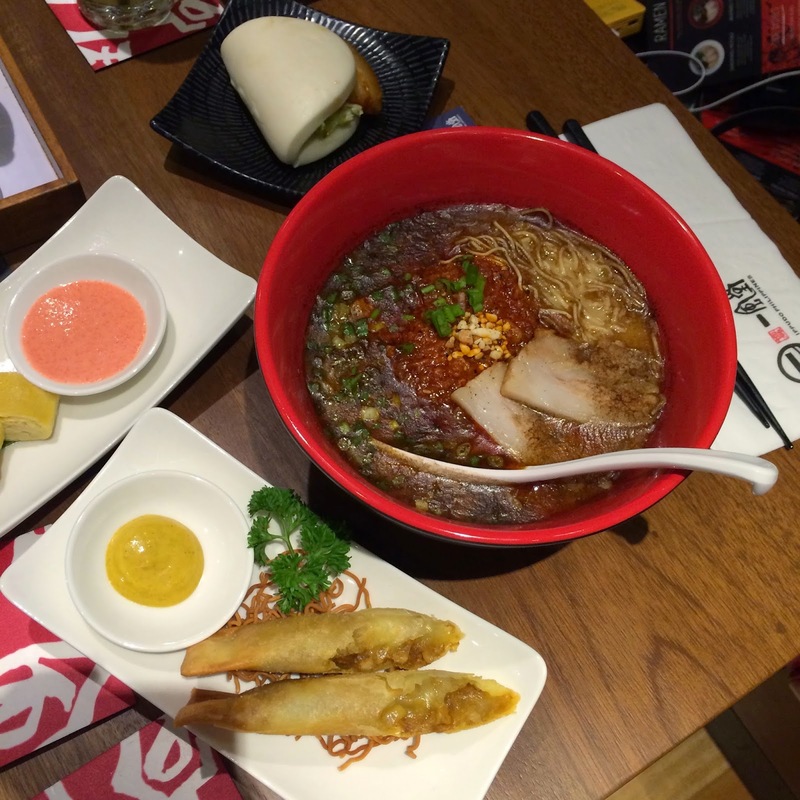 To all ramen lovers and fellow foodies, head on to Megamall this weekend and try out Ippudo! :) I'm sure you'll come out with a smile and happy tummy! Yummy photos! What is the image size in the above post? I am excited to try the Akamaru Shinaji at Ippudo soon. I also like your blog template.